After a long battle with cancer, Beth Brainard died in her home on November 7 surrounded by loving family and friends. 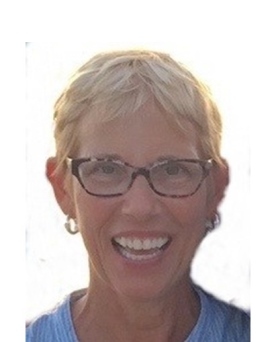 Best known in Naples for her advocacy work as Executive Director of Naples Pathways Coalition to create safe, bikeable and walkable communities in Collier County, Beth cared deeply about the Naples area and promoted causes to protect the environment and prevent urban sprawl. Beth moved permanently to Naples with her husband Paul in 2013 and quickly became involved in the community. She was a member of the Leadership Collier Class of 2016, on the Executive Committee of Collier Citizens Council and the Legislative Committee of Florida Bicycle Association. Prior to her illness she volunteered as a boat captain at the Conservancy of Southwest Florida and as a greeter at the Museum of the Everglades in Everglades City. In 2017 Beth was honored by her hometown of Warren, Ohio for lifetime achievements by being named to the Howland Achievement Hall of Fame. In October 2018 Beth was presented a Proclamation by the Mayor of Naples for her tireless efforts working with city and county officials to help plan major new initiatives for improved mobility for vehicles, pedestrians, and cyclists. The mayor proclaimed October as Beth Brainard month. She is survived by her beloved husband Paul Bellenoit; sons Nathan Brainard and his wife Kate of Longwood, FL, and Zachary Brainard and his wife Emily of Honolulu; her step daughters Jenna Bellenoit, Alexandra Bellenoit, and Kaitlyn Santa Lucia and her husband Daniel of Boston; her step son Bob Bellenoit and partner Adrianne Davenport of Manchester, NH; and her brother Fritz Schneider and his wife Maureen of Warren, OH. Beth adored her children, her six grandchildren: Nathan, Claire, Gillespie, Annie, Gavin, and Riley, and her nieces Abigail and Anna. She was preceded in death by her first husband W. Lynn Brainard, Jr., in 1985. Beth and Paul were inseparable since they began dating in 2000. She often remarked that she thought after her first husband died she would never find another soulmate, but then she met Paul at Harvard University where he was a Director of Facilities & Operations, and her luck changed. They were married in 2005 at the Naples Beach Hotel & Golf Club. Beth and Paul shared many interests, particularly renovating properties and gardening. Paul was a former electrical contractor and with his knowledge of construction and Beth’s design skills they created beautiful homes in Hingham, MA, and Naples. They also enjoyed boating, golfing, bicycling and spending time with family and friends. They shared a love of the outdoors and spent a good deal of time in the Everglades where Beth particularly enjoyed kayaking. She was also an avid reader and was deeply interested in the history and ecology of Florida. Beth was born in Bloomington, IN, on October 4, 1952, to Frederick and Mary Ruth Schneider. She graduated from Harvard University and had a long and varied career in public relations running her own consulting firm then working as a director of communications for the Disney Institute at Disney World and the Harvard College Library (HCL) system at Harvard University. She was responsible for establishing the first full-service communications (public relations and marketing) department in an academic library. The HCL Communications Department received numerous awards for its web sites, teaching tools, and online exhibitions and became the model for other library Communications departments across the Ivy League and the greater academic community. In the early 1990’s Beth authored two children’s books: Soup Should Be Seen, Not Heard! and You Can’t Sell Your Brother at the Garage Sale! published by Dell. The books sold actively on the market for ten years and during that time she was a regular guest on the national morning TV/radio talk show circuit discussing how to teach children manners and values from a parent’s perspective. In 2012 she updated Soup Should Be Seen, Not Heard! and redrew all the illustrations. The book was released in 2012 and won the Mom’s Choice Gold Award that year and the Independent Bookseller’s Award Bronze in 2013. 2:00 – 4: 00 pm at The Moorings Country Club, 2500 Crayton Road, Naples Fl. In lieu of flowers, Beth requested memorial contributions be made in her name to the Conservancy of Southwest Florida (https://www.conservancy.org/get-involved/donate).